It was a bit of a sentimental return to the Reggie Lewis Center in Roxbury today. 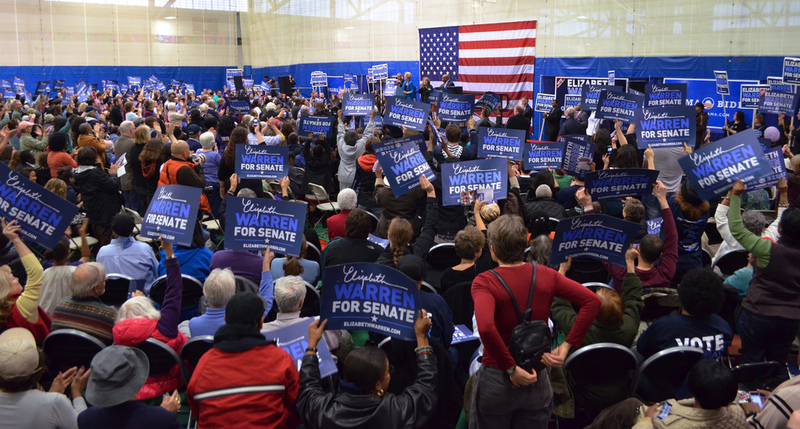 Almost a year ago, Elizabeth Warren held one of her kickoff campaign events here, and many of the same people returned to cheer her on with just a few days until Election Day. Elizabeth was very touched. “I love being here with John Lewis. The memories you carry in your heart I will carry in mine. He’s a man who changed history.” She then talked once again about Scott Brown’s votes against the interests of middle class families. 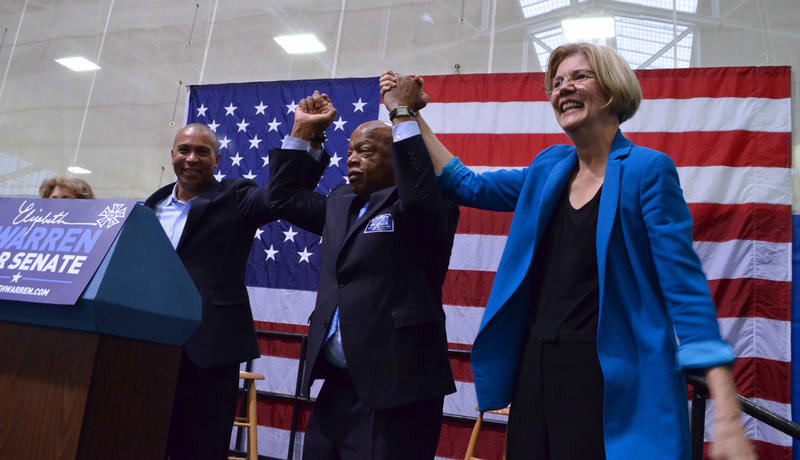 Recalling the campaign’s first event at the Reggie Lewis Center, she thanked the crowd for being behind her. She sent them out to finish off what was started, to get voters to the polls, and to keep at it until the end of Election Day. As the crowd headed out, Bruce Springsteen, who recently endorsed Elizabeth, blared through the sound system, “No Retreat, Baby, No Surrender”.